2014 2018 BMW X5 sDrive35i SURROUND VIEW. 2014 2018 BMW X5 sDrive35i w/surround view. 2014 2018 BMW X5 xDrive35d SURROUND VIEW. 2014 2018 BMW X5 xDrive35d w/surround view. 2014 2018 BMW X5 xDrive35i w/surround view. 2014 2018 BMW X5 sDrive35i. 2014 2018 BMW X5 xDrive35d. 2014 2018 BMW X5 xDrive35i. 2016 2018 BMW X5 xDrive40e. 2014 2018 BMW X5 xDrive50i. Cash on pickup. All our parts are from Left Hand Drive (LHD) donor vehicles from the USA. Model:H4 9003 HB2. 2 X Led Headlight Bulbs. 2 X Headlight Screwdriver. DOT Approval-Designed to Conform DOT FMVSS-108. LED lights than traditional halogen energy, more power. Heating temperature is low, protect the car. 2014-2016 BMW X5 Tailgate. 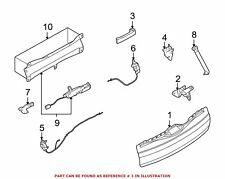 We also carry a large variety of OEM parts (all used) ranging from fenders, grilles to hoods and bumpers. GEORGE (310-867-5549). - 25219 S. Vermont Ave. Suite #4 Harbor City CA 90710. 2014 2018 BMW X5 sDrive35i. 2014 2018 BMW X5 xDrive35d. 2014 2018 BMW X5 xDrive35i. 2016 2018 BMW X5 xDrive40e. 2014 2018 BMW X5 xDrive50i. Doors, Windows & Glass. Cash on pickup. All our parts are from Left Hand Drive (LHD) donor vehicles from the USA. Donor vehicle: 2017 BMW X5 F15 XDRIVE 35I 3.0L AUTOMATIC TRANSMISSION. All parts sold by Advance Motors LLC bear a permanent identification mark and we will not take any part back if this mark is missing or altered in any way. (USED, OEM). 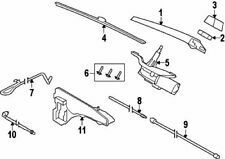 We also carry a large variety of OEM parts(all used) ranging from fenders, grills to hoods and bumpers(Honda to Bentley). - 2211 1/2 E Anaheim St Wilmington, Ca 90744. LOCAL PICK-UP. - All parts are sold as is. 2014 2018 BMW X5 sDrive35i w/power lift gate. 2014 2018 BMW X5 xDrive35d w/power lift gate. 2014 2018 BMW X5 xDrive35i w/power lift gate. 2016 2018 BMW X5 xDrive40e w/power lift gate. 2014 2018 BMW X5 xDrive50i w/power lift gate. 2014 2018 BMW X5 sDrive35i. 2014 2018 BMW X5 xDrive35d. 2014 2018 BMW X5 xDrive35i. 2016 2018 BMW X5 xDrive40e. 2014 2018 BMW X5 xDrive50i. Cash on pickup. All modules and electronics are tested and in working condition. 2014-2016 X5 F15. REAR UPPER LID. We are a used parts distributor sourcing parts in the Western United States. We have thousands of parts in our inventory. Paint color may be different then what it appears in photos. 2014 2018 BMW X5 sDrive35i. 2014 2018 BMW X5 xDrive35d. 2014 2018 BMW X5 xDrive35i. 2016 2018 BMW X5 xDrive40e. 2014 2018 BMW X5 xDrive50i. Cash on pickup. Doors, Windows & Glass. Suspension & Drive Train. Tailgate needs repair and new paint Job. Trending at $15.57eBay determines this price through a machine learned model of the product's sale prices within the last 90 days. 2014-2015 BMW X5. Item Condition: Used Condition - OEM. What you see in the photos is what you will get. 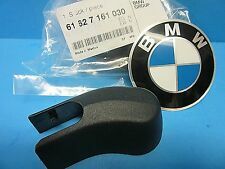 * This Listing is for support which fit the Following Applications : 2014-2017 BMW X5 F15 . To see all BMW X5 parts that we have in Inventory. This Part is from a 17 BMW X5. Model: 17 BMW X5. Happy viewing!